Managing your money and investments is more important than ever before. But sometimes, no matter how hard you try, you end up confused and frustrated. This is where using the right financial tools can make a difference. Choosing the right tools and using them properly can save you hours of frustration and thousands of dollars over your lifetime. BUT THERE’S TOO MUCH STUFF OUT THERE! HOW DO I KNOW WHAT TO LOOK FOR? - The Big Picture: how likely are you to achieve your goals? What types of changes are needed? - Net Worth Tracking: REAL-TIME Analysis of changes in net worth, and instant updates to the analysis reflecting these changes. 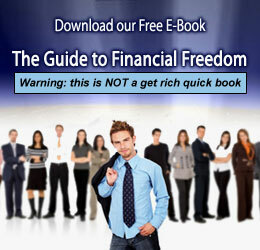 As a free bonus, the software comes with a set of free videos explaining step-by-step how to create your financial plan. This package is a steal for $39.95; why pay hundreds of dollars for a financial advisor when you can generate and analyze the same reports in the comfort of your own home! For a more family-friendly option, the You Need a Budget (YNAB) tool combines powerful financial capabilities with a clean, front-end user interface. YNAB also features dozens of free webinars and step-by-step instructional videos. YNAB is designed to get the whole family involved in the budgeting process; teaching both parents and children how to budget effectively, save for a rainy day, and map out a long-term financial vision. The tool is available for $49.95 with a 30-day money back guarantee. Click here to learn more! For the small business owner, business management tools will help you manage your day-to-day operations more efficiently. By using the right software, you can eliminate costly errors and save hours of valuable time. Next post: Beat the Banks at Their Own Game!